Get back to the Hour Run in Under an Hour! I have casually run for many years as a way of keeping fit for other things I do and I have entered the odd recreational race - I struggle with the term "Fun Run". Mostly I just do untimed training runs, and you inevitably develop set routes. To see how you are really performing it is a good idea to do some timing. It's been satisfying to learn that the reason a run that felt particularly difficult turns out to be because it was a personal best for the route. I have a run that I think of as taking around an hour. It is an undulating off road route through woodland and across some open fields. It starts and finishes in Ashenbank Wood, a very pleasant Woodland Trust site located close to the A2 in Kent. As I have aged, I have noticed that the "around an hour" run has slipped to 1 hour 10 minutes. The challenge here is to get back to doing this training run in under an hour, or 60 minutes to be true to the 60at60 challenge. Second attempt - I have been building up on other routes and the time is 1hr 04min 59s. I did have four distractions with dogs and a genuinely strong head wind across the fields but I can't pretend this would add up to 5 minutes. 16 May Update - Getting Closer! 1 hr 6 min 45 seconds. I had been hoping for a post trekking altitude boost but I was molested by a pack of out of control small house dogs out for a walk and out of control. No real damage done but the run was disrupted and I was distracted and took a wrong turn that I had to back track. 12 September 2018 - Success!!! 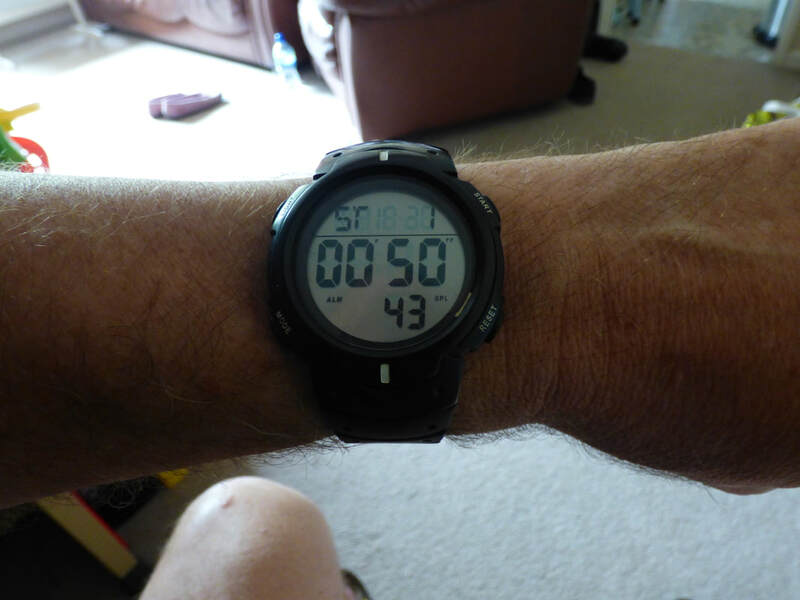 A light drizzle, enough to provide cooling when running, without making the run stodgy, and a focused run led to the success that had evaded me the week before. This is a 60at60 that only means something to me - but it really does feel like an achievement!